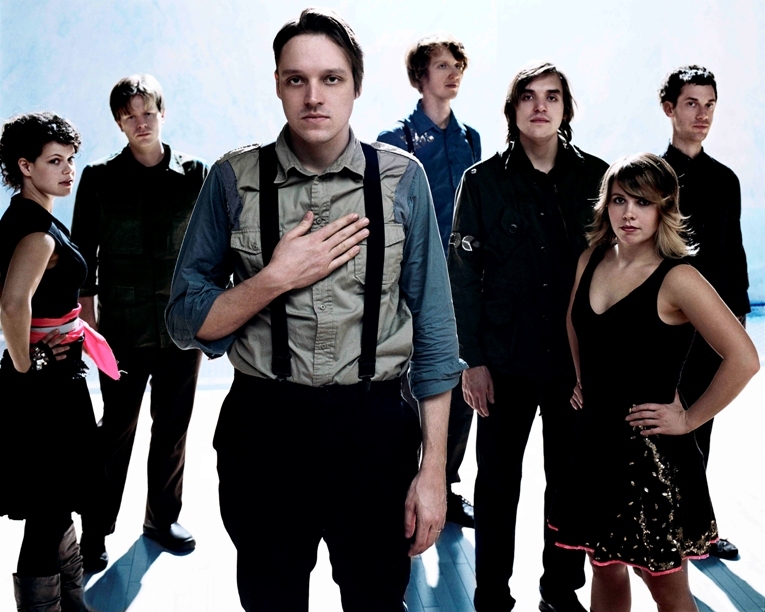 The Arcade Fire shocked the world last night when they took home the award for Album of the Year for their third album The Suburbs. They beat out Eminem, Lady Gaga, Katy Perry, and Lady Antebellum for the top prize. While I’m not a big fan of the band, I’m happy they won the award because I’ve heard the album and it is a good album, despite my musical preference. The album had been hailed by critics and fans alike and it’s a big win for alternative/indie rock. It was dissapointing to most hip hop fans and people in general who expected Eminem to win for his album Recovery. I thought he was going to win, it would’ve been huge for Em after his comeback, and for Hip Hop. Record of the Year and Song of the Year went to Lady Antebellum for their hit “Need You Now.” Not really mad at that because it’s expected, but one of the categories should’ve went to a different artist. But Esperanza Spalding for best new artist?!? That’s just crazy. Drake should have won the award. I wouldn’t of been mad if Florence + the Machine, Mumford & Sons, or Justin Beiber had won the award, they all would have been way more deserving. Who the f*** is Esperanza Spalding??? Eminem took home the trophy for Best Rap Album and Rap Solo Performance. “Empire State of Mind” won Best Rap Song and Rap/Sung Collaboration. John Legend & The Roots won 3 awards for thier album Wake Up, including Best R&B album and song. The Black Keys continued their break out year by winning Best Alternative Rock album for Brothers and Rock performance by a duo or group for their hit song “Tighten Up.” Usher won for best Male R&B vocal performance and Contemporary R&B Album. “Love the Way You Lie” didn’t win an award despite the song being nominated 5 times. Success Is Certain for Royce Da 5'9"